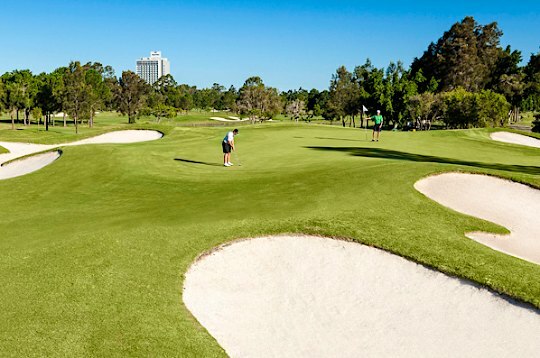 The Australian Ladies Professional Golf (ALPG) and RACV have joined forces to announce a new golf tournament on the Australian schedule: the RACV ALPG Players Championship, which will be played at RACV Royal Pines Resort on Queensland’s Gold Coast. “ALPG is delighted to announce this exciting new partnership with RACV.” ALPG CEO Karen Lunn said. Lunn also announced that the PGA of Australia would be involved in assisting the ALPG in staging the tournament. ALPG star and RACV Ambassador Stacey Keating was thrilled at news of the impending partnership.